Celebrating Virginia Cooperative Extension Master Gardeners, past and present, educating the community for a healthy and sustainable environment since 1981. 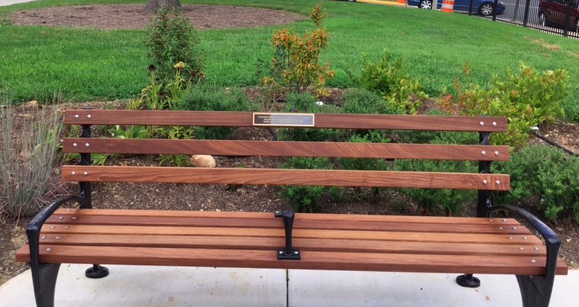 The newest addition to the Master Gardeners of Northern Virginia’s demonstration gardens is the Tribute Bench and Garden located on the grounds of the Fairlington Community Center, in Arlington County, Virginia. The inspiration for the Tribute Bench and Garden was Mary Newton, who joined the Master Gardeners of Northern Virginia (MGNV) in 1998. She was a member of the MGNV Board, and served as President from 2001 to 2003. During that time she received the Environmental Horticulture Volunteer award from the Cooperative Extension Leadership Council. 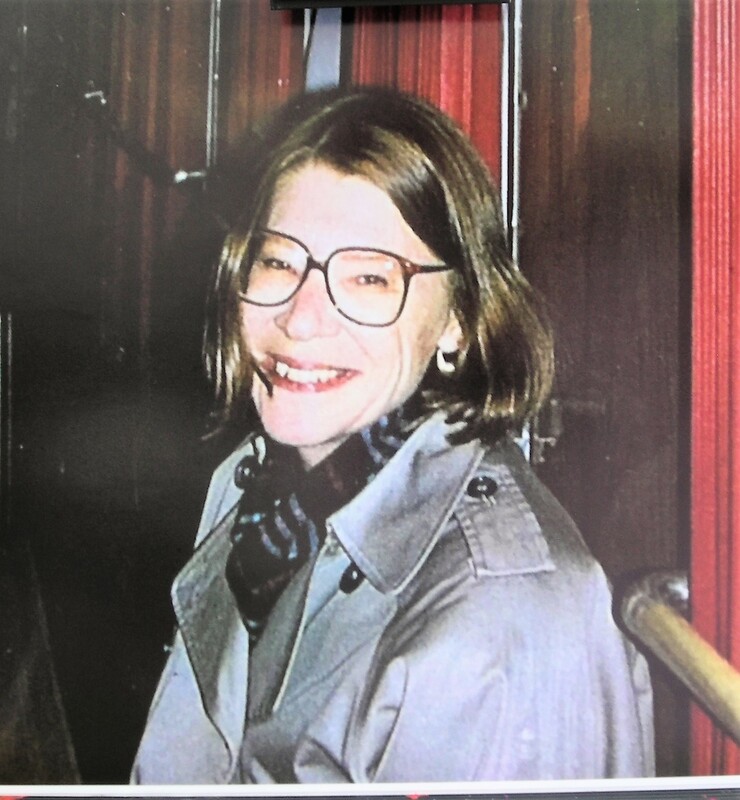 Mary continued to be active in MGNV, helping to manage the finances for its annual plant sale until 2015. 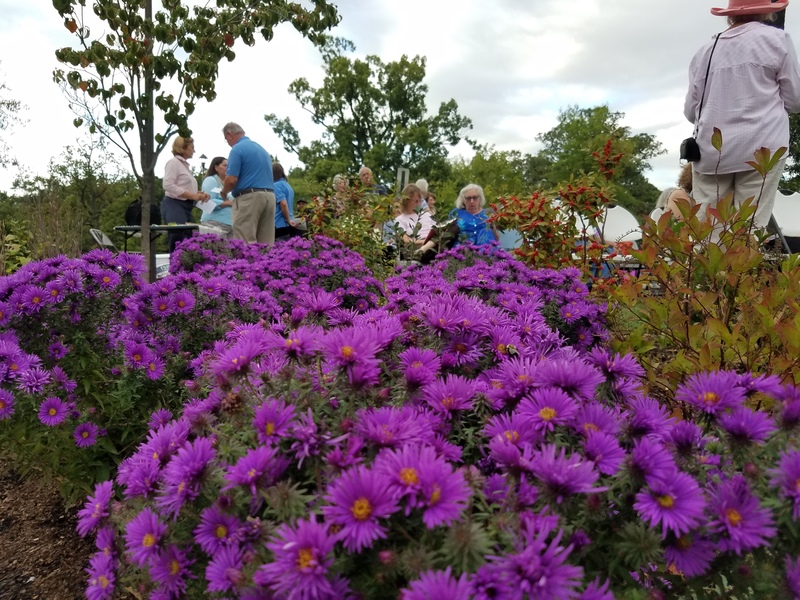 When Mary died in 2015, her husband approached the MGNV in search of an appropriate way to honor her work with the organization and her enthusiasm for gardening. From the fond memories of Mary and the ongoing work that Master Gardeners do, the inspiration for the tribute bench and garden emerged. We believe Mary, with her twinkling smile, would soundly approve! Tricia Rodgers, Anne Wilson, Tamara Dailey, Ann Kelleran, Alison Kindler, and Jane Longan worked diligently to bring the vision of the tribute bench and garden to life. 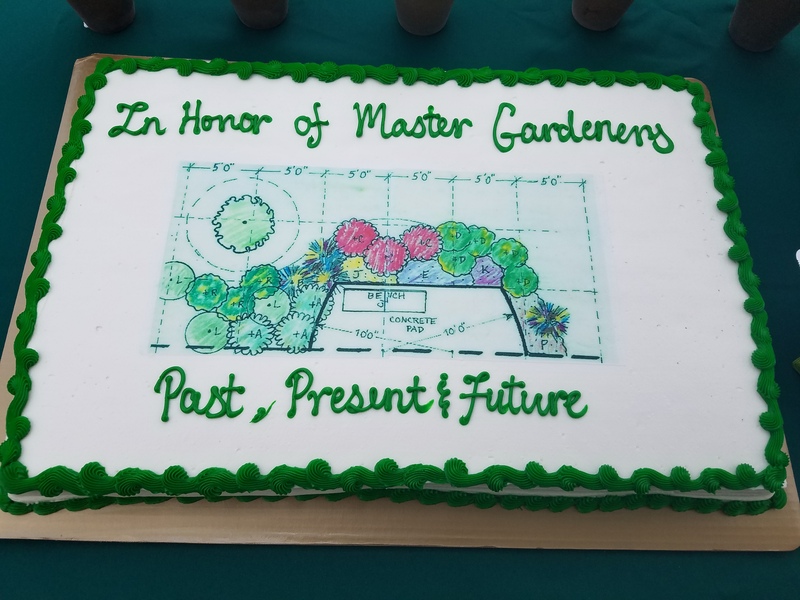 Along the way the initial idea evolved into a tribute not only to Mary’s memory but also to the work of all Master Gardeners. Suzanne Williams, of Positive Spaces Landscapes, was recruited for her landscape design expertise. Suzanne drew up plans for the garden space and oversaw the installation. With the support of the MGNV Board, and the blessing of the Fairlington Citizens Association, this ad hoc committee doggedly pursued and won Arlington County approval for this project. Once the county did its part of the work, the committee prepared the soil and lovingly installed the Garden, and have been keeping an eye on it ever since. In April, 2017, the Tribute Bench and Garden officially became the latest demonstration garden. The dedication ceremony took place on Tuesday, September 26, 2017. One unique feature of the garden is that the bench is offset so that a wheelchair or stroller can be set beside it, making it accessible, as can be seen in the garden plan on the sheet cake above. The garden is located on the north side of the Fairlington Community Center near the parking lot. Stop in and take a rest on the lovely bench next time you are visiting.